Oblo is a stunning capsule coffee machine born from gentle curves and straight edges. It’s only 25cm (W) x 32cm (H) x 18cm (D). Slide in a capsule and create the perfect drink with a simple motion of the manual lever. 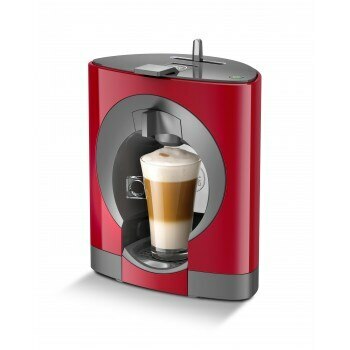 With Oblo’s, up to 15 bar, pressure system you will enjoy a professional coffee with a thick, velvety crema. The adaptable Oblo capsule coffee machine can prepare not only hot, but also delicious cold beverages. Best of Best Winner of the Red Dot award 2015. If the on/off button of your machine has turned orange, it’s time to descale! For more information about the automatic descaling alert on your NESCAFÉ® Dolce Gusto® Oblo machine, click here.